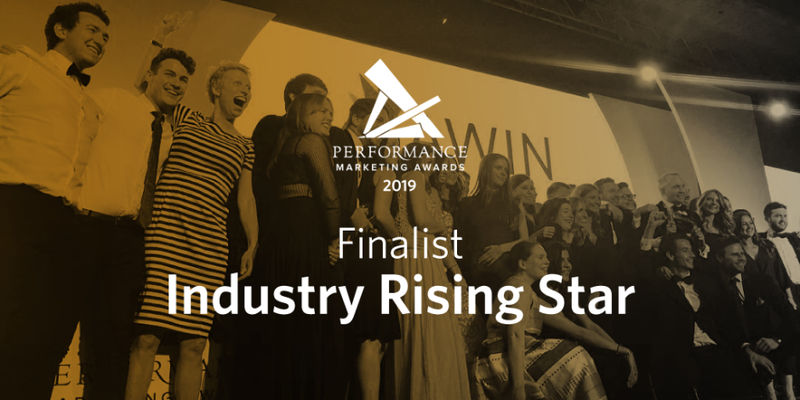 The Industry Rising Star Award is aimed at rewarding emerging talent and innovators in the performance marketing industry. Clementyne joined Awin in October 2016 having graduated that August, her initial role within the company as a Customer Services Executive gave her a crash course in affiliate marketing, immediately overseeing numerous projects. Although a new entrant into the industry, Clementyne greatly impacted the publisher services department by both improving payment processes and streamlining communications. Working on the frontline with publishers everyday lead Clementyne to realise an opportunity for Awin in an emerging publisher type; Media Houses. Taking on the role as the industry's first ever Media Partnerships Manager. Less than a year into her new role Clementyne had demonstrated that her intuition for a business opportunity was spot on, having notably grown the commission earned by Media House publishers and sales for advertisers. Clementyne successfully recruited new Media House publishers and cultivated new relationships with existing partners, having a significant contribution to the business. Not only has Clementyne greatly impacted the business through her work in the Publisher Services department, but she is also passionate about the company’s CSR efforts, organising numerous internal fundraising and culture-building events. Her dedication to her role and Awin also extends externally as she has organised several client-focussed networking events. Clementyne’s passion for the affiliate industry lead her to the first-ever Digital Disruptor’s programme, giving her the chance to mentor the winning team. Awin believes that Clementyne is a shining example of an industry rising star, showing passion and drive for not only Awin as a business but also the industry as a whole. You can show your support for Clementyne by voting for her and telling the judges why you think she should be named as Industry Rising Star. The winners will be announced at the Performance Marketing Awards ceremony which takes place on 30th April at the Grosvenor Hotel, London.